One message of Biblical music and visual arts is that the physical part of life can and should become a vehicle for enhancing our lives. While cleanliness may not actually be next to Godliness, making our living spaces attractive and appreciating the colors, textures and variety of foods and clothing brings us closer to God and His word. The Lord is my strength and might; He has become my deliverance. This is my God and I will surround Him with beauty; The God of my father, and I will exalt Him. We are supposed to see God and beauty in parallel. In fact, a reliable way to judge both music and art as well as physical objects in general, is to ask whether they distance us from God or bring us closer to Him. When Bach wrote “Soli Deo gloria” at the top of his musical compositions it was to express, “The glory goes to God alone.” This was worlds away from the intent of shockingly vulgar lyrics of some of today’s songs. Similarly, painting and sculpture can elevate our soul or degrade it. One need only contemplate the hideously ugly monstrosities that are regularly passed off as sculpture by the diseased souls of maudlin and narcissistic artists. To sum up, each item of the High Priest’s vestments, each component of the Tabernacle and every physical description in Scripture of a person or thing is deliberate and holds an uplifting and God-pointing message for the ages. Also referencing my previous comment on the “Build a Boat, not a House” column: Making progress on the dinghy, in spite of the fiberglass hull. I am itching to get it done, you might say. If it had not been originally purchased by my grandfather of blessed memory and used by my parents on their Columbia 45, I would not put out the effort on it. I greatly prefer to work in wood, but I think this is one way I can show honor to my parents. Speaking of art, I purchased your Ten Commandment teaching and am wondering about the second commandment that says 2. 3Thou shalt have no other gods before me. 4Thou shalt not make unto thee any graven image, or any likeness of any thing that is in heaven above, or that is in the earth beneath, or that is in the water under the earth. 5Thou shalt not bow down thyself to them, nor serve them: for I the LORD thy God am a jealous God, visiting the iniquity of the fathers upon the children unto the third and fourth generation of them that hate me; 6And shewing mercy unto thousands of them that love me, and keep my commandments. (Having other gods is tantamount to adultery. Thou shalt have no other gods before me means there must be an exclusive relationship. It is directly related to the command seven that says marriage must be exclusive…no adultery.) Are statues or artistic pieces that copy or mimic people, animals or things of earth against this commandment? The statue of Moses coming down from the mountain or the Nativity sets we see in December? Little girls having lifelike dolls and so on is no violation. Neither are statues of wartime heroes that we often find in public places. Only statues or pictures that get worshipped. 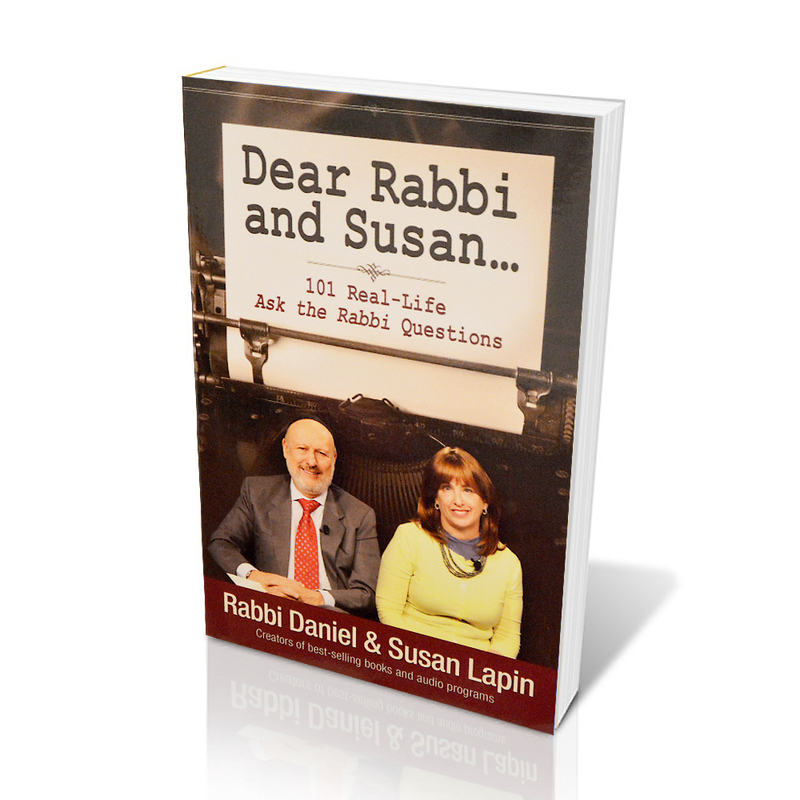 Oh, wow, Rabbi and Susan! You have such an amazing talent for selecting not only topics for your own comments, but questions that cut to the chase for you to answer! At the moment, we seem to be living in Armageddon, and Armageddon tired of it all! You are such a breath of fresh air every day or so. My late husband, ‘the Philosopher”, taught process thought (A. N. Whitehead and colleagues). One of Whitehead’s great emphases was on the importance of beauty as part of the philosophical emphasis on axiology), and here you are, featuring it! I hope it is not overstatement to say that you pull the traditional wisdom into today’s world. The music of the Hebrew Testament days would not land well on today’s ears, but we have to view it according to its lights, not ours (I happen to be a classically trained musician). Similarly, for art. You get us to the point. Thank you so much for all you do to mitigate the rest of what dominates the news these days. One of the accomplishments of Western culture is 18th and 19th century classical music. Composers like Mendelssohn, Beethoven, Brahms, Schubert and Mahler, to mention a few wrote music that IMHO touches the ears of G-d. It is possible to listen for over 50 years, I have, and still hear something new. The lasting effect is that classical music has transferred to other cultures. For example, the Japanese composers, and artists have adopted the format, as have the Chinese, to a lesser extent, but still relevant. This is music that brings out our common humanity. As an artist this question and some the comments from others really struck home with me. Laying the bible aside, I reallise that art and the application of same is very subjectable and personal. People pay huge amounts of money for paintings that I wouldn’t use for a doormat. That is there prerogative. I personally like to paint scene that are life like. I have sent you some samples in the form e-mail greeting cards. with an artistic bent. Do you want an old wood burning cook stove or do you like the sleek shinning gas or electric range in your kitchen. Do you like you sleek new BMW or would you prefer an old drafty and noisy model T. Extreme, I admit. But my point is that just about every man made thing that we see or touch from our clothing to our toys was somehow influenced by an artist designer. Even if we just hang it on a wall – enjoy! God gave each of us a talent and a potential. It is up to us how we use it. I love the advertising business precisely because it tells God’s children all the ways in which His other children are working at making their lives better. I am sure you are aware that one of the ancient Chinese emperors (don’t remember which dynasty) would send emissaries out to each of his provinces. The emissaries were to monitor the spiritual and soulish well-being of the subjects by listening to the music produced by each locale. If any region was producing dissonant, unmelodic, or otherwise cacophonous/unwholesome music, they would send report to the emperor, and he knew that something was wrong in that region. He would then send “problem-solving” ambassadors who would find out what was off-kilter in the social structure. If the music of a province was pleasing, melodic, harmonic, and promoted good refreshing feelings in the people, the emperor knew that everything was well. Keen emperor! I have not heard about this, Celesta. What an interesting story. Today I wish to agree with Celesta ‘though the back door,’ so to speak. A long-time acquaintance was a musical whiz and became once America’s youngest symphony orchestra musician. He related a theory that he had encountered: how the UNITY of music within a culture was an indicator of harmony within a society. Example: the Baroque, when everyone (sic) heard music of a similar genre, that which was available uniformly to the public. Conversely, the multiplicity of ‘musics’ in a culture is inversely proportional to harmony in a culture: excessive diversity fosters unrest or chaos. Compare today in contemporary US, where music is fractured into a hundred different genres, varieties, persuasions, subtypes and yes, even CULTS. I am not necessarily ‘on-board’ convinced, but I roll out the theory for consideration of the meaning of ‘art,’ to which music belongs. Thank you for your wisdom on how to use art to elevate our souls. Meanwhile, would you please also elaborate further on some comments you made in your previous podcasts….in two of your shows, you briefly mentioned that “…ballet class….later…” & “…ballet is a religion…”? I am one of your faithful listeners and this statement sort of puzzled me….as I have been doing ballet all my life so far and have always believed that my ballet is a tool to reflect the glory of God. However, I am more than willing to learn if this confusion is caused by my shallow understanding on how to reflect the beauty of God through ballet.